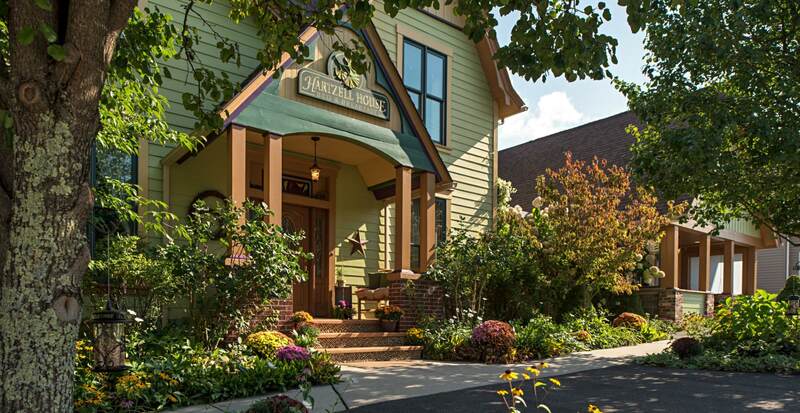 Come stay at Hartzell House Bed & Breakfast in Western Pennsylvania, and discover a veritable playground of activities and attractions nearby. Our lodging accommodations near Ohiopyle, PA and Deep Creek Lake, MD are convenient to a myriad of fun and challenging opportunities for the nature lover and outdoor enthusiast. While our tri-state region is known for its breathtaking scenery, there are also numerous attractions for those who enjoy history, fine dining, art & antiques, entertainment, and much more. We look forward to your visit, perhaps it will be just the first of many! Turn right onto Academy Drive, then left onto Main Street. Hartzell House Bed & Breakfast is on your immediate left. Continue Rt. 40 East approx. 45 miles to Addison. Continue Rt. 40 East approx. 29 miles to Addison. Turn right onto I-68 West / US-40 W.
Merge onto US-40 W via Exit 14B towards Uniontown. Turn left onto Academy Drive, then left onto Main Street. Exit 4 (MD). Keep right to merge onto MD-42 for less than 1 mile. Take the 1st left onto 1st Avenue. Continue to the stop sign and turn right onto Maple St.
Take the next left onto Friendsville-Addison Road and follow for just over 7 miles. Turn left onto PA rt-40, and and immediately veer left onto Main St, Addison. We are just down the hill on the right. Continue Rt. 40 West approx. 6 miles to Addison.